British Prime Minister Theresa May will go down in history as the Judas Iscariot of her people. 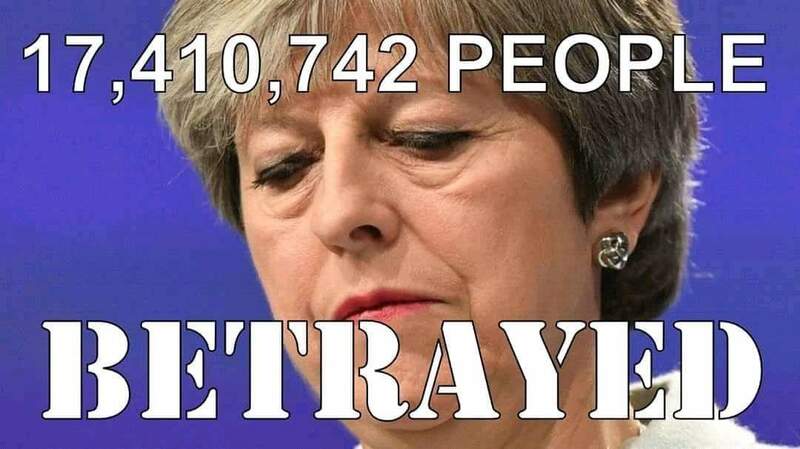 She has stabbed 17.4 million voters for Brexit in the back by cobbling together a deal that makes Britain a vassal state of the EU and is a triumph for multiculturalism and mass immigration, with no real control over the country’s borders. An unhelpful comment no doubt, given that we no longer have capital punishment in Britain. The sentiment is nevertheless understandable. The visceral loathing many people feel in Britain for this cheating liar, masquerading as a good churchgoing Christian—a Vicar’s daughter—probably stems from her arrogant hypocrisy. A vote of ‘No Confidence’ in the Prime Minister is expected any day now. For this to succeed, resulting in the forcible removal of the Prime Minister from power, at least 48 of her Tory MPs must send in letters of No Confidence to Sir Graham Brady, chairman of the 1922 Committee which policies the Tory leadership rules. It is widely known that more than 48 Tory MPs are more than willing to defenestrate the Prime Minister but have been advised to exercise restraint in the interests of party unity and to give Mrs May a last chance. The PM’s latest antics, however, have make them lose all patience with her now. They are hopping mad with her, sensing her treacherous duplicity. It’s now only a matter of time before they turn and tear her apart. 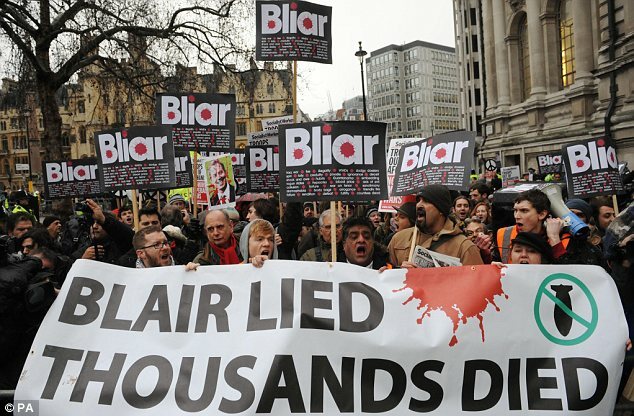 Tony Blair was guilty of flagrant war crimes; he is now a multimillionaire who has managed to escape justice. Theresa May, you can be sure, will escape justice too and will soon be on the lecture circuit like the mendacious war criminal Tony Blair. Here is a picture of Mrs May with her friend and mentor Chief Rabbi Ephraim Mirvis. Maybe the good rabbi will inspire his duplicitous protégée to write her memoirs during her retirement. This is not Brexit, the “Brexit means Brexit” that Theresa May promised. It is Brexit betrayed! A broken promise. A fake Brexit. We hear the first rumblings of a great storm — a storm that, once unleashed, threatens to be the mother of all storms. Not since WWII have the British people had to face such a crisis. Europe, the federalist Superbeast that has gradually morphed into a Frankenstein monster over the last 50 years, will exact its revenge on Britain for daring to rock the boat and threaten its unfettered supremacy. It will make Britain pay, to the uttermost farthing, for daring to walk away from a disastrous marriage — a marriage to an oppressive slave master with delusions of imperial grandeur. The fallout from this explosion, the hidden repercussions, the horrendous shrapnel wounds, the incalculable collateral damage, all this is yet to come. Shudder, shudder! It’s going to get worse, I fear, much worse before it gets better.